As college students, we have very busy schedules. Every minute there is something new begging for our attention and sleep is typically the first thing we put to the wayside. With all of the classes, homework, jobs, sports, intra-murals, ministries, and other commitments it becomes easy to become completely engulfed in what is immediately going on around you. The danger with this is that we manage to completely lose touch with the outside world and major events that are going on around us. The biggest example recently has been what is going on in Syria. As Syria continued in their two year long civil war, around 1,046 Syrians were killed with chemical warfare, over 400 of which were children. Obviously everyone was very upset about this and attempted to figure out what should be done. The U.S. almost took action but was able to make a deal with the help of Russia avoiding a war. 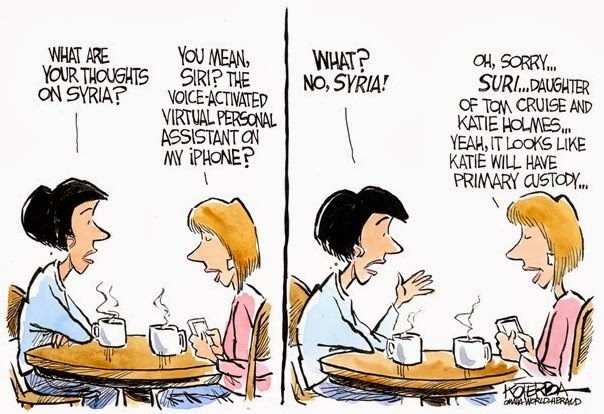 Here is an article that explains in more detail what happened in Syria and why we almost went to war, much better than I ever could: http://www.washingtonpost.com/blogs/worldviews/wp/2013/08/29/9-questions-about-syria-you-were-too-embarrassed-to-ask/. So, in the midst of a possible war, over a thousand innocent people had been killed and a great majority of students here had no idea that anything was even happening. I understand that news is not always the most uplifting thing, but it is so important to understand what is taking place in the world around us. Having such a busy schedule makes it near impossible to sit down and physically watch the news, but there are many other ways to keep track of what is going on! With smart phones it is easy to download free news apps, such as the BBC world news, and receive notifications when major events take place. Although I appreciate my BBC app, my favorite way to keep in touch with what is going on is through the Wall Street Journal, located in our very own library. YES! The library has newspapers that are updated daily, four of them to be exact. These newspapers are located in the lobby on a wooden display case. From local to world news, you can sit and glance through all they have to offer. Some articles are more lighthearted, but they also contain crucial information about the intense situations that are going on across the globe. I encourage you to use these newspapers while you have them at your disposal. Once you graduate these newspapers don’t come cheap. Seize the opportunity you have now. As you read pray for those who are suffering, and pray for our leaders as they make difficult decisions. Looking for a book this summer? Student worker Ryan Eshelman provides us with a view into e-books. It seems like every time a new piece of technology is introduced, people are quick to jump on the bandwagon and proclaim it as “The next big thing”, often supposedly rendering whatever it replaced obsolete. 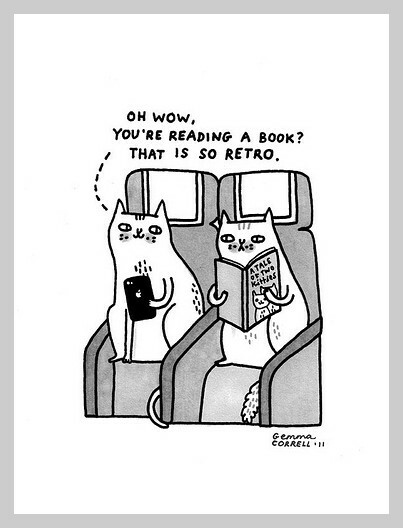 This happened somewhat recently, with the introduction of electronic books, or “eBooks” for short. Yet this doesn’t necessarily mean that physical books are dying. There are many reasons to still head to Masland Library to check out a book. For one thing, it’s free. While there are a few classics that can be downloaded onto a reader for free, the majority of eBooks cost money. Another wonderful feature of the physical book is that it can’t run out of power. Some people just prefer the feel of turning the pages of a physical book in their hands, or even the satisfying “thud” of slamming a finished book closed. Whatever your preferences, the Masland Library has both physical and electronic resources available to you, to suit any need or inclination. To see what the Masland Library has available you can check the Library Catalog for more information. To download ebooks from the Masland Library you will need to download the ebrary app from either Google Play or the iTunes store.